I simply had to do an article about Bagels and Brew celebrating National Bagel Day this upcoming Sunday, February 9th because I have loved them for years! This Sunday at any of the Bagels and Brew locations, you can feel free to walk in and get a FREE bagel. There is no purchase necessary! Let me tell you why this is so awesome….These are seriously some of the best bagels in town!!! 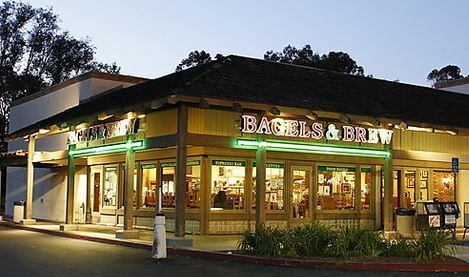 When I moved to South Orange County my boyfriend at the time (who has now been my husband of almost 8 years) we would always go with his family to Bagels and Brew and when we ended up moving in together it became our place together as well! 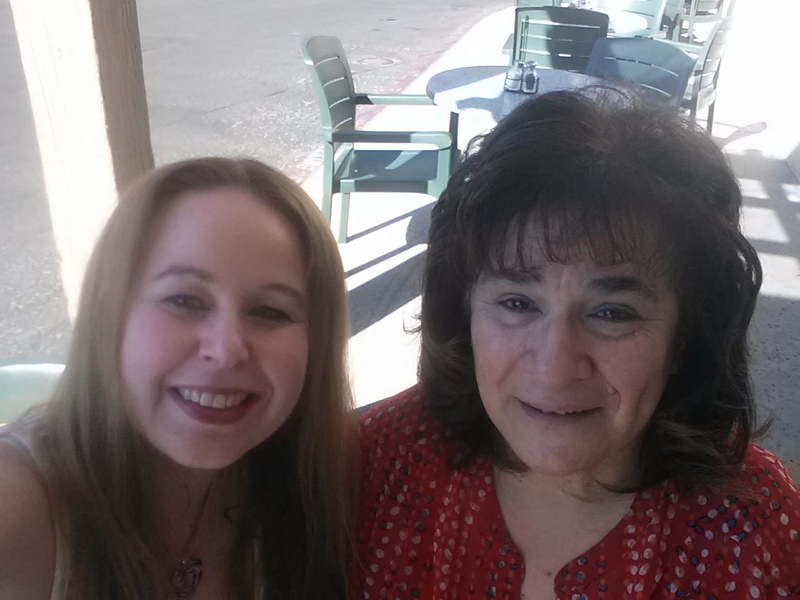 For the past 11 years we have been going to Bagels and Brew alone and with my hubby’s entire family! There is literally something there for everyone. 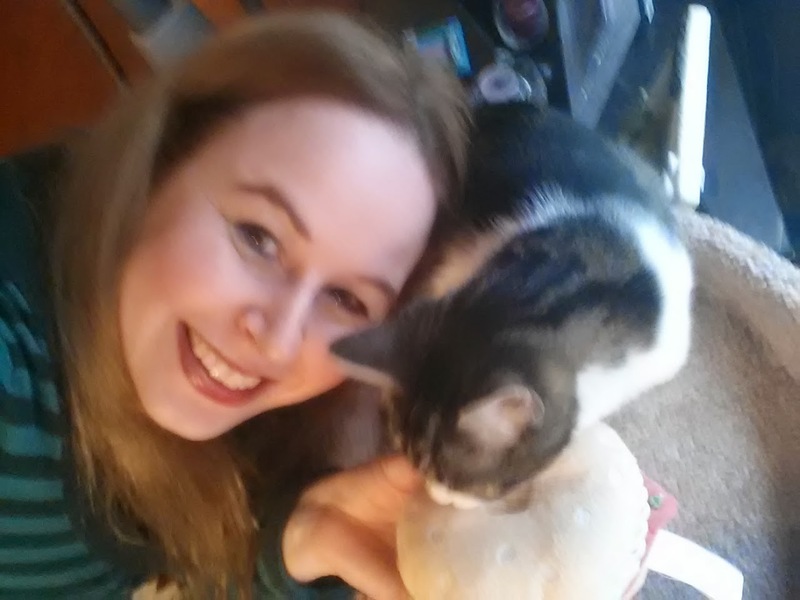 Look…even my cat Cornwallis picks her stuffed bagel toy over her food! 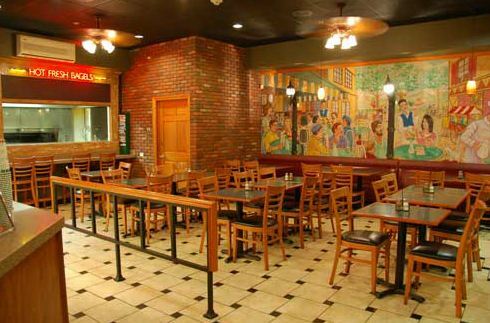 There is a large variety of bagels at Bagels and Brew with over 25 different selections! This makes it very hard to choose what to get, but I am personally in love with the bialy for savory and the chocolate chip for sweet…oh wait and the pineapple coconut…Honestly there are just too many yummy ones and the cream cheese is to die for as well! There are so many flavors to select from and they are all freshly made…YUM! 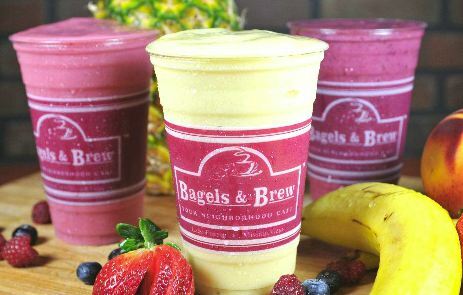 Bagels and Brew has also recently introduced a gluten free menu…I know you are thinking bagels=gluten, but let me tell you Bagels and Brew has sooo much more than bagels! Check out the gluten free menu here –> GLUTEN FREE MENU. 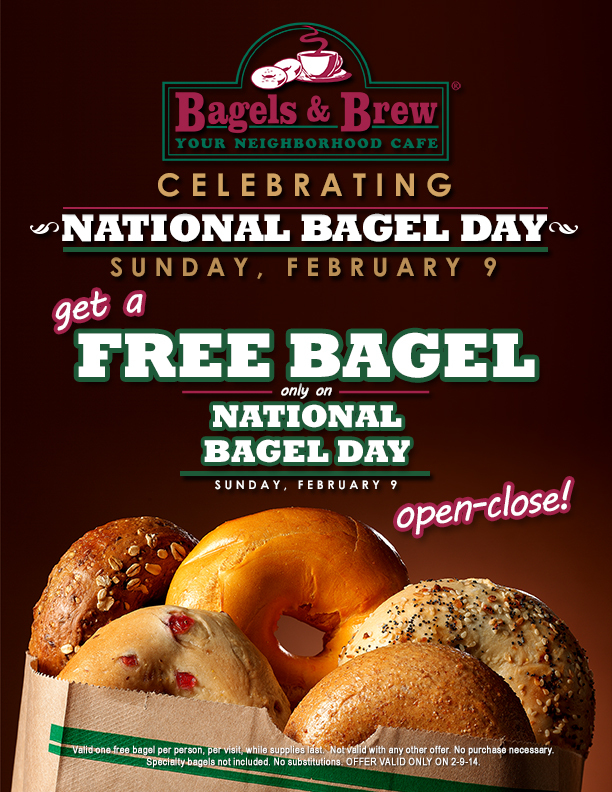 I could go on all day about this place because I love it so dearly and have been visiting them for so very long, but I simply wanted to share about National Bagel Day so you can head in to Bagels and Brew to pick up your FREE BAGEL this Sunday, February 9th! I also would like to offer my fans the opportunity to win a meal for 2 with beverages at Bagels and Brew because I love this place so very much! To enter my Bagels and Brew contest to win a meal for two click on the Rafflecopter word below. Enjoy your free bagel! I know I will and good luck in my contest. Let me know your thoughts below about this awesome establishment that is family owned and also regularly donates to charities and helps with blood drives! Bagels and Brew rock! I am sure you will love them just as much as I do!! Yummy! Love the Mision Viejo location. Nothing like a great bagel. Especially with a good cup of coffee. You try out some of the different flavors! You would love the different kinds of cream cheese too! Yum!! Bagel and a schmear . . . yum! Oh yes! You got it!! The turkey pesto sandwich looks yummy! Didn’t know there was a National Bagel Day! I enjoy raisin bagels, toasted with a bit of butter. That sounds great. Have you ever tried a honey nut cream cheese on a raisin bagel as well? 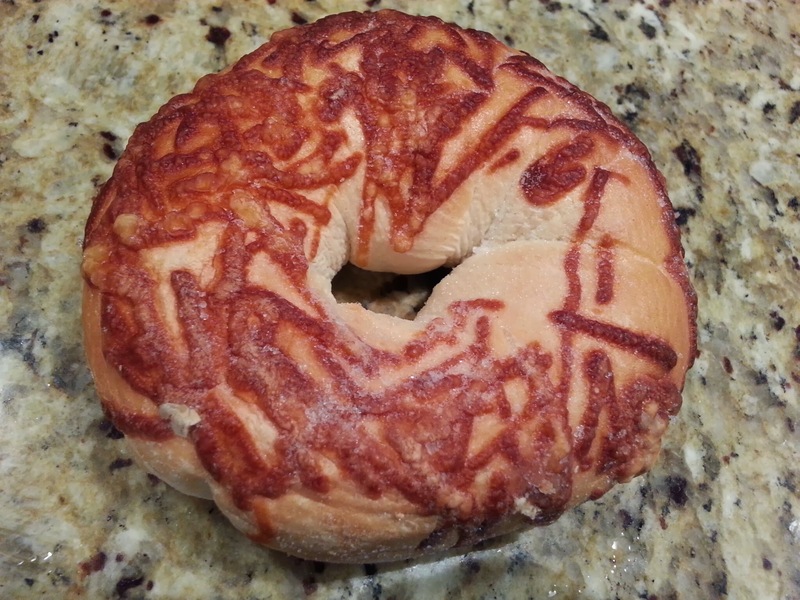 It is definitely very tasty as well:) Happy National Bagel Day! Those all look so good. I love Everything bagels with veggie cream cheese. Now I’m getting hungry. I never heard of bagels national day. Are they low carbs ? Their menu have a pretty wide range of meal choices. not just bagels! I love that! And I bet their gluten free menu will attract a lot of customers. Free bagels? I know someone who would love that offer! 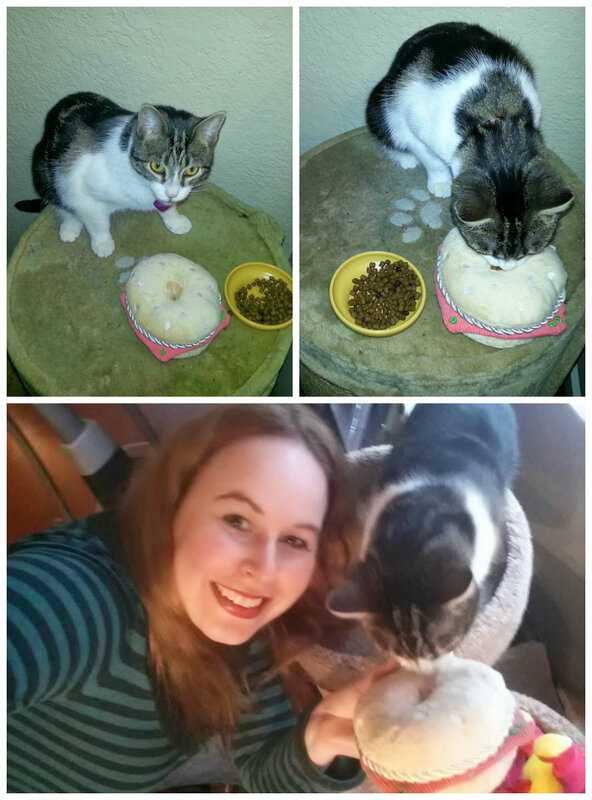 Bagels make my day… great way to star the morning! A bagel’s celebration day it is a nice idea! Oh yes:) I am all about the bagel!! Never heard of em but hey I love bagels so Heres to a great bagel Celebration!! I love bagels! Too bad there isn’t a Bagels and Brew in my town. I love bagels – they’re so versatile. I’m envious I don’t live closer to you and your amazing offers! I used to go to B&B regularly and I would get the Parmesan bagel with butter. Awesome! Good luck in the contest Alex! 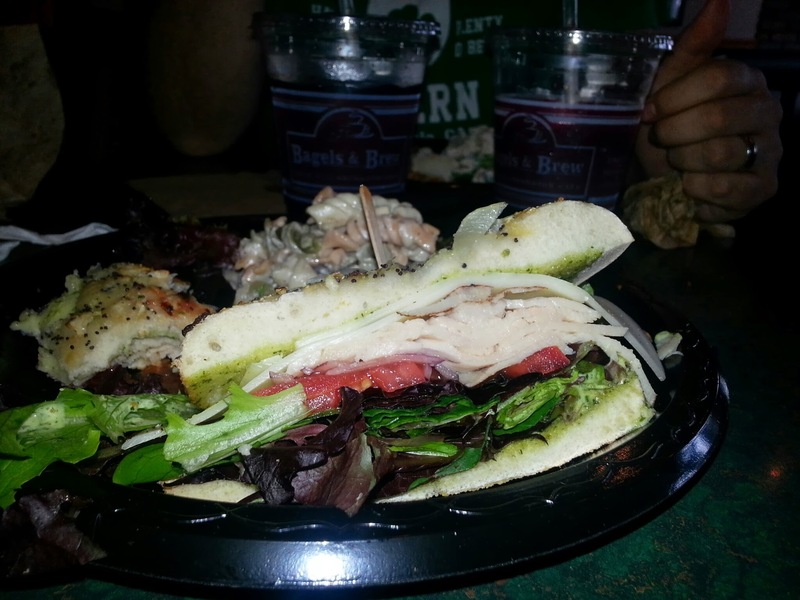 So many great choices at Bagels & Brew! I think everything has their own day nowadays 🙂 Bagels rock! Happy Bagel Day! Thank you for always sharing these great give a ways and deals! Ive always wanted to try some gluten.. I have not tried it but I would like to try the gluten free bagel. Bagel sandwich sounds good right now! YUM!!!! You need to try them if you have not yet…:) That Turkey Pesto Supreme hits the spot every time!